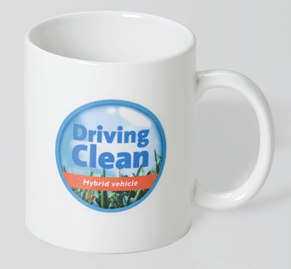 Branded coffee mugs have long been a popular promotional item. When purchasing promotional items, the goal is to find something that won't be thrown away in a hurry and will get as close to your target market... how much closer can you get then by literally being on their lips every day! Like the promotional pen and stubby cooler, branded mugs will never go out of style! Promotional mugs are still one of the most popular promotional items used on a day to day basis - let's face it, every needs their coffee whilst at work! Impress your clients even more by filling them with chocolates and lollies at Easter or Christmas time for an extra special gift! You don't have to stop at branding mugs with just your logo - promote an event or campaign to really get your message out there. With such a wide range of mugs available, your sure to find one that will suit your marketing purposes and that matches with your company brand guidelines. View our range of mugs now.